Clearwater is the county seat for Pinellas County, on the west coast of Florida. This small city has a steady population of just over 100,000 residents. Downtown Clearwater is also home to the worldwide headquarters of the Church of Scientology, housed at the former Fort Harrison Hotel, which is now known as the flagship building of the Flag Land Base. 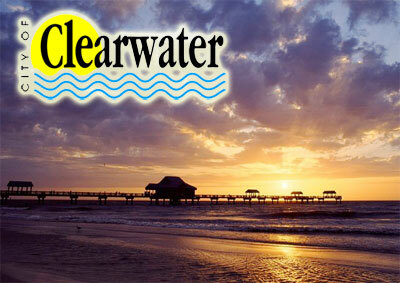 Planning your move to Clearwater? Contact Moving On Up™ for relocation resources such as packing tips and packing material prices, moving insurance Q&A, and how to get a binding, flat-rate moving quote based on your inventory. We can be ready to get you where you are headed in the Clearwater area within the same day. Time is important when you move. Moving On Up can will move your home or office when and where you need to go anywhere in the Tampa Bay area. The history of a city is important for the residents that live there. In case you are considering a move to Clearwater, Florida here is some history and background on the area. Clearwater began as an outpost for the United States government. Originally ordered to become part of the “Land Grant” program, the Federal government participated in the settlement of the area. Finally in 1897, the area became the proud home to the famous “Bellevue Biltmoore.” In Victorian times, it was the central hub to the best of the best in the state. The economics are very stable with little to no change. That shows stability. If you move here you can rest assured that the city will continue to thrive. That can really make a difference in your decision to live somewhere. Moving On Up™ offers local and long distance moving and storage for all of the cities and neighborhoods located in the Tampa-St. Petersburg-Clearwater metro region. Moving On Up™ is a proud member of the American Moving & Storage Association (AMSA) and has a 5-Star rating on TransportReviews.com. Check Out Moving On Up's A Rating with the BBB! If you have a move coming up in the the area, contact Moving On Up™ to help you move. Even if you are moving away from the area, our moving services are the best. Here's why: We are the best on the net at getting everything that you need moved where it needs to be in a timely manner. You can count on us when it is time to move. Moving On Up™ is conveniently located in the nearby city of Naples to help you with all your Clearwater moving needs. Call our moving company now at (954) 924-1522 to book your in-house moving estimate. To begin, submit your moving quote online now for a flat-rate binding price. When you need to know a quote before placing your reservation for your move, have no fear. We can offer you that with no problem. Contact Moving On Up™ for the quote. We have you covered in any aspect of your move.